Dialpad is a cloud-based, business VoIP provider that offers a wide range of communication solutions, for businesses of all sizes. Whether you’re looking to set up a business phone service, customer support center, outbound sales call center, or a web conference software for your team, Dialpad offers a solution at various price ranges. With revolutionary, cloud-based, VoiceAI software, Dialpad presents businesses with capabilities such as real-time call transcription, smart notes, real-time sentiment analysis, and real-time coaching, including all of the conventional telecom capabilities. Businesses using Dialpad can also enjoy the benefits of app integration, which works with popular software such as GSuite, Zendesk, Salesforce, LinkedIn, and more. Every business wants to get the best bang for their buck. With so many options to choose from, we need to carefully evaluate the cost of business communication, and only then we can make an informed decision that benefits us. Dialpad does their best to provide enough information on plans & pricing, but we need to take a closer look to see exactly what we are getting here. Let’s dig deeper into Dialpad products & pricing to help decision makers decide on how to move forward. 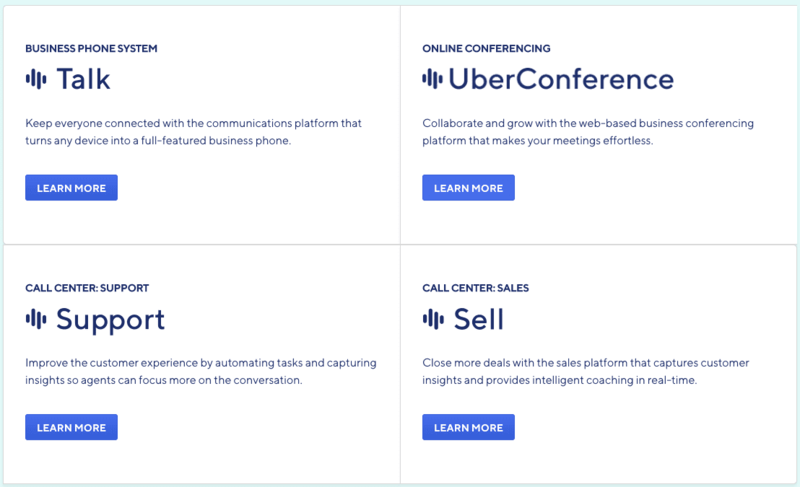 Dialpad offers four telecommunication solutions to businesses — Talk, UberConference, Support, and Sell. All four products are packed with features, and there are different pricing options to choose from based on your needs and business size. Combined, the products provide powerful platforms for businesses communication. 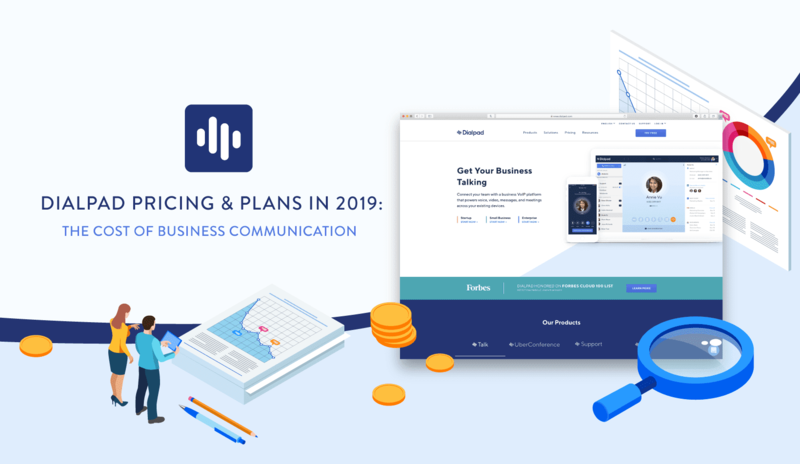 Dialpad Talk solution is the cloud-based, AI-powered, VoIP business phone system that supports all of the traditional phone technologies such as messages, voice or video, and it also includes advanced technologies like app integration. With Talk, you can sync your business phone system with any device of yours, and you can integrate apps such as Google Suite, Zendesk, Salesforce or Slack with it. Talk with clients at your office during the day, then share notes and set meetings on your phone during the night. This product is capable of great things, and it’s definitely a powerful tool to have at your disposal, especially if you’re dealing with lots of clients and apps at the same time. It’s also a good tool to use for team communication, and you’re able to organize the app so it doesn’t interfere with your team/client dynamic. This plan includes three pricing options: Standard, Pro, and Enterprise, with different features that we will cover down below. UberConference is Dialpad’s web conferencing software that allows businesses to hold meetings online, with features such as screen sharing, international access, PIN-free dial-in access, and more. This software supports up to 100 participants, and it guarantees a pleasant web conferencing experience with all of its features. UberConference comes as a free version for Dialpad Talk users but is limited to 10 participants, 45 minutes duration and some more things. The premium, Business plan offers all of the features at $15/mo per user. Support is Dialpad’s cloud-based, customer support software which works as an inbound call center with additional features. With Support, your customer support team receives all of the conventional technologies that are necessary for professional customer support center, such as call routing, wait times, custom hold queue options, and additional advanced features. What really makes Support great is its advanced features — the call center is powered by native AI and natural language processing which boosts the performance of your agents. Your agents get keyword based recommendations which allow them to effectively respond to customer inquiries. On top of that, supervisor dashboards are packed with features that allow them to step in when necessary. One of those features is real-time customer call sentiment analysis which displays calls that need supervisor attention. App Support & IntegrationPlans start at $75/mo per agent, and we’ll cover them in-depth down below. Dialpad Sell works as an outbound call center for sales representatives — it is built around the idea that sales reps can close more deals using AI technology and cloud-based systems to their advantage. Sell also works as a powerful coaching platform for supervisors, where they can track & observe sales reps, as well as provide in-platform coaching in real-time. Dialpad Sell offers two options: Pro & Enterprise, with no standard pricing quotes. Dialpad also offers a Fast Start Program for qualified startups, where they can apply to get 10 lifelong seats for Dialpad Talk Pro and UberConference Business solutions. 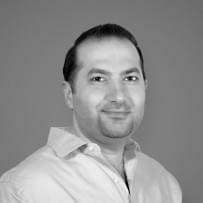 It’s a great chance for startups to get in touch with Dialpad’s VoIP tech, for free. Dialpad is building a global partnership with VCs and accelerators to seed startups’ growth and success. Now that we understand what’s on the table, let’s go deeper into plans & pricing options for Dialpad products. Dialpad used to have one core offer (Dialpad Talk) with different pricing options but now they are offering plans for all four of their products. Diapad products — Talk, UberConference, Support, and Sell, each have specific pricing options based on their features. In most cases, it’s a standard Basic or Pro plan, with an additional option for Enterprise clients. The core product is still the smart business phone system Talk, which can be enhanced for web conferencing, customer support or sales representative needs. All Dialpad products also support international calls with low rates, and the rates can be found on their website. Additionally, toll-free numbers cost $5/month plus $.02 minute with Dialpad which is cheap. Businesses have to determine which features are worth their money, which leads us to our original question: what is the real cost value of businesses communication? It’s up to businesses to decide whether these features are worth the additional 50% budget increase. If your business relies heavily on other software (Salesforce, Slack, ServiceNow etc. ), investing in the Pro Plan ($30/mo) is a good choice, and you get the additional benefits as well.As we can see, the Standard Plan ($20/mo) offers us most of the core features of a business phone system, but it lacks some advanced features which are included in the Pro Plan. With Pro Plan, businesses get access to integration features, queue holds, logs, phone support, and international numbers at the cost of an additional $10/mo per agent. 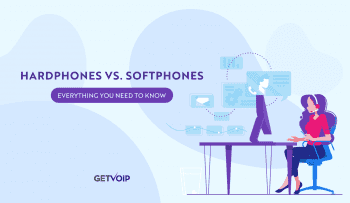 Running a business phone system is no easy task, and having these additional tools that can help can definitely lift a lot of weight off of your phone agents. As for the Enterprise plan, there’s not much to talk about except it’s worth mentioning that Dialpad could possibly give better deals if you have more agents that require these services. UberConference is a useful tool for web conferencing, and you can get the free version for each agent together with Dialpad Talk. With the free version, the number of participants is limited to 10, and upgrading to Business version (100 participants) costs an additional $15/mo per agent. As we can see, there are some differences between the two plans but most of it really comes down to the number of participants allowed. For businesses that require more than 10 conference slots for their agents, Businesses plan ($15/mo) is a must-have. The alternative is to use different software to hold conferences, which most likely requires a budget as well. As for the additional features, there’s nothing ground-breaking although some features like custom numbers, international access, and no PINs are great to have. All things considered, $15/mo/user can be heavy on the budget, but it’s definitely a good investment if your team is heavily reliant on holding web conferences. UberConference is certainly a good tool for this, and it will be a worthy investment. Dialpad’s Inbound Call Center is a great solution for customer service teams. It comes with 2 pricing options, one for smaller businesses, and one for larger enterprise clients. The plans start at $75/mo/user with similar features, and the difference is that the Enterprise plan gives businesses API & SCIM Provisioning as additional options for large teams. Dial Support gives teams & businesses access to great tools (based on AI technology) for customer service tasks, such as real-time sentiments and call monitoring. These tools allow supervisors to monitor agent performance, and it also allows them to efficiently coach their teams. *Except toll-free numbers. Regular numbers fall within a fair use policy cap of 3,000 outbound minutes per agent across each organization. The price to pay for Dial Support is $75/mo per agent, which is certainly not cheap. However, with all the features and unlimited calling, we can see how this can be a worthy investment for businesses. If a company is looking to provide premium customer support service, Dialpad Support can certainly help with that. Dialpad Sell platform with supervisor dashboard that allows coaching is available in two plans: Pro & Enterprise. Neither of these plans has a standard price, instead, Dialpad gives a quote depending on a business’ size and needs. Since there isn’t much information about Dialpad Sell plans, we can’t tell how good the investment really is. However, considering that your team receives all of the usual Dialpad services (Unlimited calls, VoiceAI, Real-time analytics, App Integration etc. ), you can evaluate your investment based on that. *Except toll-free numbers. 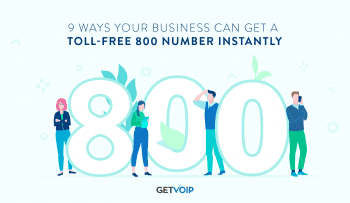 Regular numbers fall within a fair use policy of 3,000 outbound minutes, calculated as an average across all Dialpad Sell users. Again, if your team relies on other apps and you want to take advantage of features that allow real-time tracking and coaching, Dialpad Sell can be a good option here. We covered the pricing options of Dialpad, however, we still have to compare it to some of the competitors to figure out the real cost of modern businesses communication. Dialpad’s competitors are companies such as Nextiva, RingCentral, and Jive. For all three of them, standard plans start at $20.00 (annual plans and 50+ users), which is the same as Dialpad Talk. However, it’s worth noting that Dialpad’s Enterprise plans might offer you plans at a lower rate than that. As for the call centers, although not many companies are willing to disclose this information in public, Twilio Flex is a similar option with $150/mo flat fees, as well as $1/hr plan if you need a solution for agents who work less. All things considered, Dialpad certainly offers competitive rates, and it’s up to businesses to evaluate the exact features of each company before deciding who to go with. Of course, businesses can always compare VoIP companies & reviews directly on our website. Since the acquisition of TalkIQ, Dialpad has certainly improved its platform in many ways, thanks to the power VoiceAI technology that TalkIQ developed. Dialpad offers great products at a competitive rate, and that’s not going to change anytime soon. In the end, it seems like the entry cost of businesses communication seems to be $20/mo, with each company bringing something unique to the table.